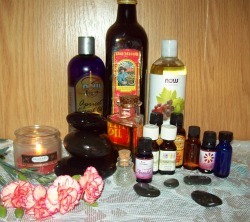 Aromatherapy and Essential Oils: The Aroma of Life! The term aromatherapy was coined by a French chemist named Rene’-Maurice Gattefosse, PhD. In 1928 Gattefosse burned his arm severely in his laboratory. He quickly looked around for any cool liquid to cool his arm off in. The nearby tub of lavender oil seemed a safe choice, so he thrust his arm into it. < p>The pain of the burn quickly subsided and did not blister or even become red and inflamed, as would be expected. The wound healed very quickly, leaving no scar. 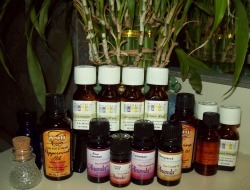 “Essential oils” isolated from plants have been used therapeutically for many centuries. The distillation process of essential oils was invented in the late 900's AD by Avicenna an Arab doctor. During the deadly European plagues of the fourteenth to sixteenth centuries, glove- makers and other tradesmen used aromatic oils in their trades. They had very high survival rates from the plague compared to those who did not benefit from their incidental exposure to aromatherapy through their trades. The use of these medicinal essential oils declined as the modern pharmaceutical industry developed. Gattefosse dedicated the rest of his life to rediscovering the practical use of the remarkable healing properties of nature’s essential oils. He began developing the art and science of using extracted aromatic “essences” from plants as medicinal “botanicals”. The phrase “essential oils” comes from these refined “essences”. Today Aromatherapy has become the therapeutic use of essential oils. Modern research confirms the many practical uses of the fragrant oils of essence. The list of useful qualities is long. Forgive the big words, but here goes (take a big breath): antiviral, antibacterial, antifungal, antiseptic, anti-inflammatory, antineuralgic, antirheumatic, antispasmodic, antivenomous, antitoxic, antidepressant, sedative, nervine, analgesic (pain reducing), hypotensol (lowers blood pressure), hypertensol (raises blood pressure), digestive, expectorating, deodorizing, granulation-stimulating, diuretic, and much more. Whew! Most of the well-known essential oils are managed quite well by the body, entering and exiting safely. The most effective way to use them is on the skin or inhalation. Consuming them internally into the digestive track renders their chemistry less useful and is not the safest form of use. The only cases of death, organ failure and hospitalization from essential oils has been from ingesting essential oils. If you decide to ingest please educate yourself very well on what you are doing and first do no harm to yourself or your family and friends. No matter what brand of essential oils you use the natural occurring chemical compounds that make up the specific oils are what you need to be aware of. There is not always a lot of research on all the oils but we do know what specific chemical compounds do. Please be aware that children, pregnant and breastfeeding women should not use specific oils. The world renown expert Robert Tisserand's book Essential Oil Safety: A Guide For Health Care Professionals is the place to find any information you would need on safety. I have this book in my library for easy reference at Montana Day Spa if you would like to reference safety concerns. For aromatherapy to be effective, the oils need to be pure, natural essential oils. The aroma can be duplicated in a factory, but the therapy part falls by the way side in the artificially produced oils. A pure essential oil is veryconcentrated, but not all that “oily”. The pure oils must be diluted in a carrier oil. Examples of carrier oils are vegetable oils, nut or seed oil such as olive, grape seed, avocado seed, apricot seed, and jojoba oils. There are countless good books on aromatherapy which supply the information about the best carrier oils to use for individual essence oils, as well as the uses and how to use each one. Two books that I have found to be a wealth of knowledge about aromatherapy are: The Complete Book Of Essential Oils & Aromatherapy by Valerie Ann Worwood, and a little more expensive, but much more specific research-oriented book: Essential Oils Desk Reference, by Essential Science Publishing. I use these two reference books for writing this page and any related aromatherapy pages. Like healthy human blood, essential oils from aromatic plants fight infection, contain hormone-like compounds, and initiate regeneration. Like blood, essential oils work as a chemical defense mechanism for the plants they come from. The oils possess potent antibacterial, antifungal, and antiviral properties that the plants depend on. Since some essential oils can act as hormones, they can help bring balance to many physiological systems of the human body. The similarity with blood goes even deeper. Many essential oils are made of a chemical structure similar to the structure found in human cells and tissues, making them more easily accepted by the human body. Because of this, they are allowed to enter past cell membranes and travel throughout the blood and tissues safely. Essential oils used for aromatherapy can often stimulate the secretion of antibodies, neurotransmitters, endorphins, hormones, and enzymes. Research indicates that essential oils that contain limonene are antiviral. 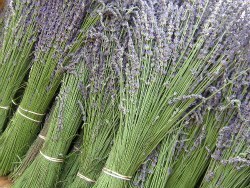 Lavender and others have been shown to promote the growth of hair and to speed wound healing. These actually increase the uptake of oxygen and the production of ATP, the required end-result fuel for every cell of the body. (See the page on the uses for essential oils here.) Some European studies have shown an ability of essential oils to work as natural chelators, binding with heavy metals and other unsafe chemicals to transport them out of the body. Essential oils do not disturb the body’s “homeostasis”, or natural balance. On the other hand, most synthetic chemicals have limited action which can disrupt the body’s natural balance. The Mysterious Power of Smell! Odor molecules stimulate the olfactory epithelium lining in the nasal passage. This causes nerve cells to trigger a specific electrical impulse to the olfactory bulb behind the nose. The olfactory bulb transmits the impulses to the limbic system of the brain. The limbic system is directly connected to the parts of the brain that control heart rate, blood pressure, breathing, memory, stress levels, and hormonal balance. By this mechanism essential oils are capable of having profound physiological and psychological effects on the human body. The average number of components in an essential oil used for aromatherapy is about one hundred. Advanced technology has allowed scientists to identify many of the compounds, but many are out there waiting to be discovered. The basic substances found in essential oils have very complex molecular structures. They are quite powerful! For instance, research indicates that essential oil of oregano is 26 times more powerful as an antiseptic than the active ingredient in many commercial cleansers (phenol). We tap into the life blood of plants when we use aromatherapy for safe, effective alternatives to many pharmaceutical products! Please subscribe to or our "What's New" newsletter or to an RSS feed (see left column) to be alerted whenever new information is added to the site. We'd appreciate it if you would "Like" us on Facebook, or share this site with others. Do you have a comment about this topic? Hippocrates said, "The way to health is to have an aromatic bath and a scented massage every day." I promise to use it only to send you Massage Therapy Site Updates.